After spending a rocking goodtime on the toilet all night it was time to do some more sightseeing. 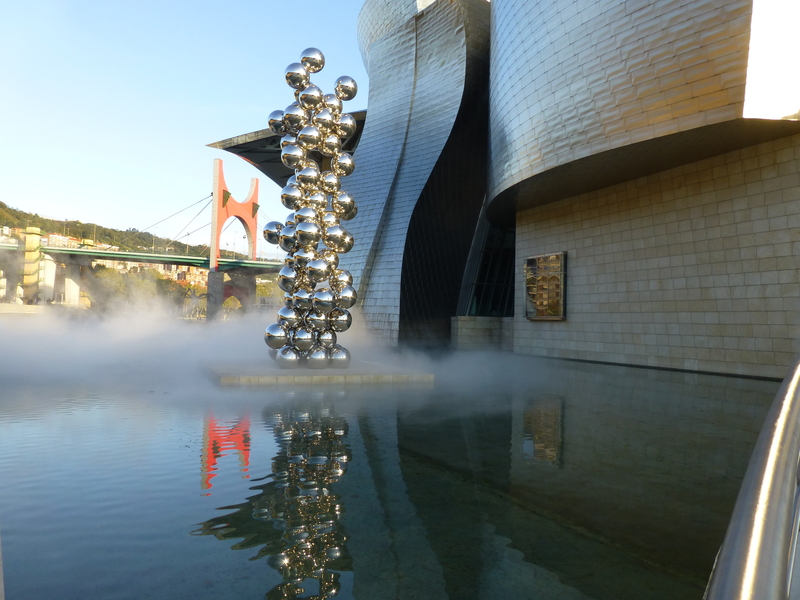 We decided to visit the Guggenheim Museum in Bilbao. 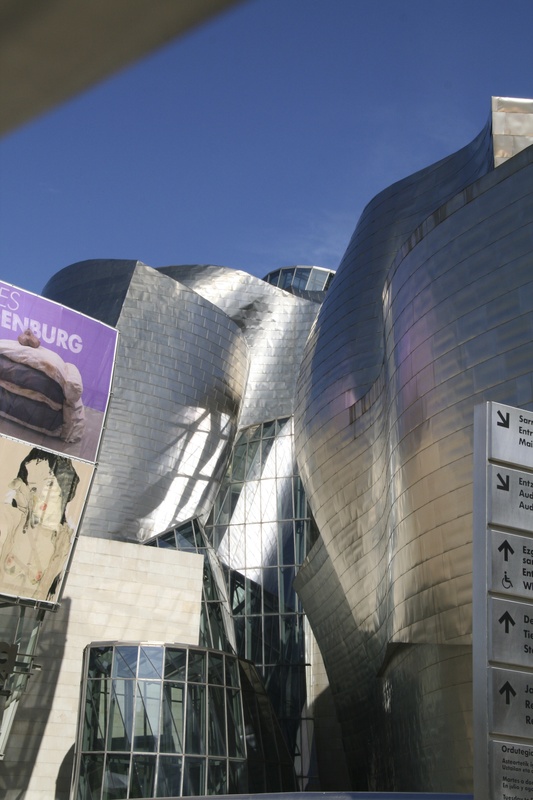 This incredible Frank Gehry masterpiece had been on our bucket list for a long time, so we jumped in the car and made the quick 45-minute drive to Bilbao. We spent a little time driving around the city looking for parking. Bilbao appeared to be flourishing. It was a vibrant, beautiful city that we hope to return to someday. 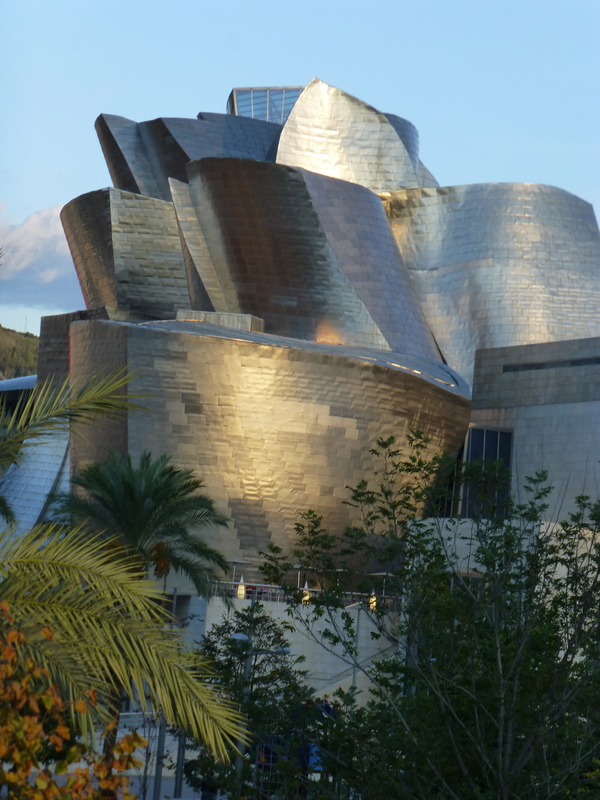 Despite Spain’s economic problems the place was bustling. 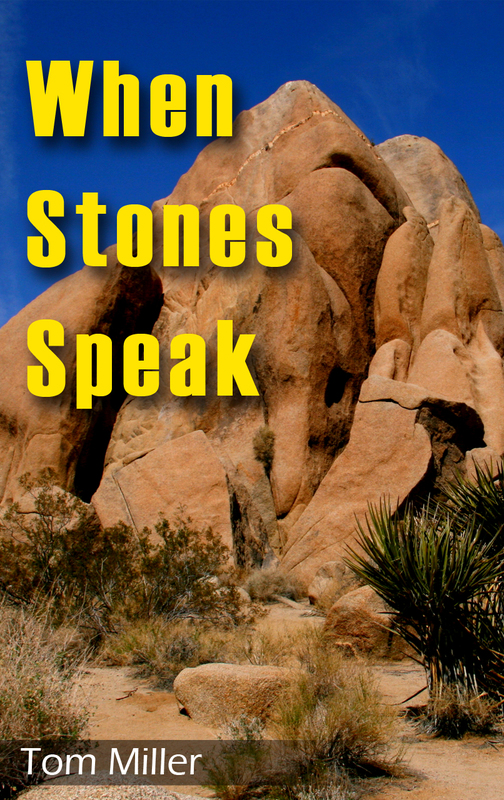 The streets and parks were well maintained and everything looked the way it should in a thriving economy. I guess looks can be deceiving. 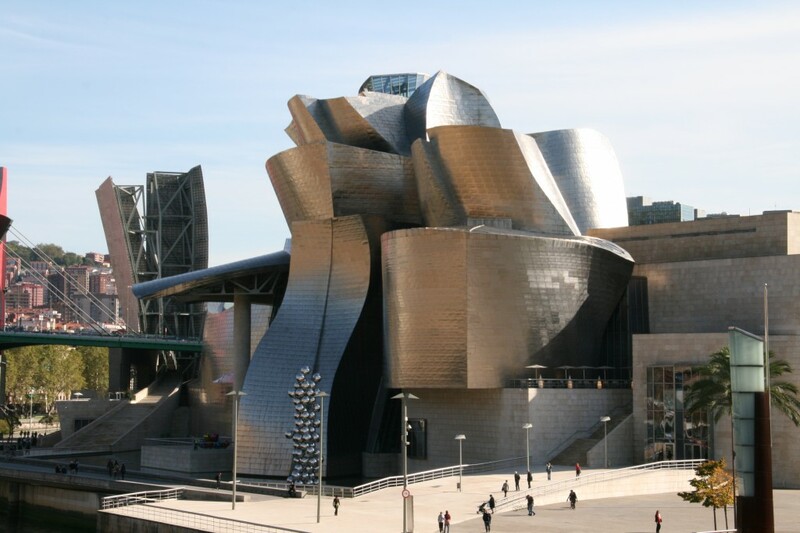 You really have to see Gehry’s masterpiece to appreciate it. Pictures just don’t do it justice. 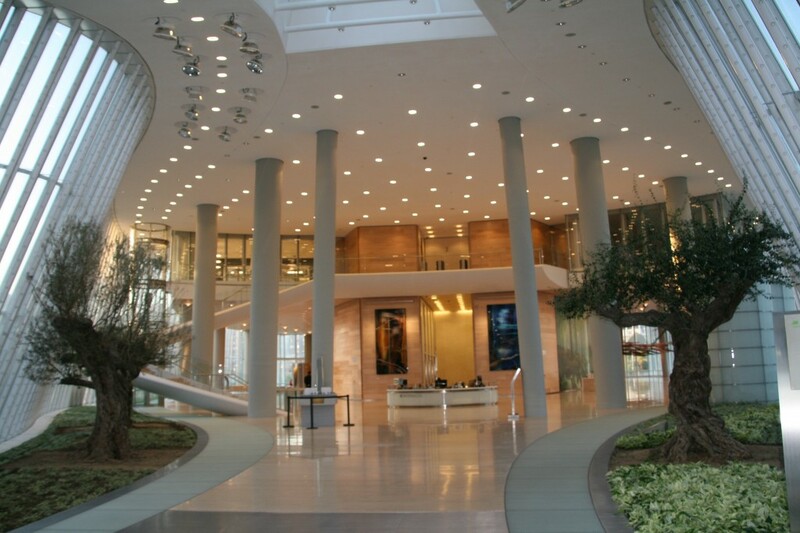 Before retiring I was a general contractor, and my company built some pretty complex structures, especially for the U.S. Military. Before going in Lisa and I walked all the way around the museum. I was in awe. I can’t imagine how many man-hours it took and how much it cost to build this spectacular edifice. 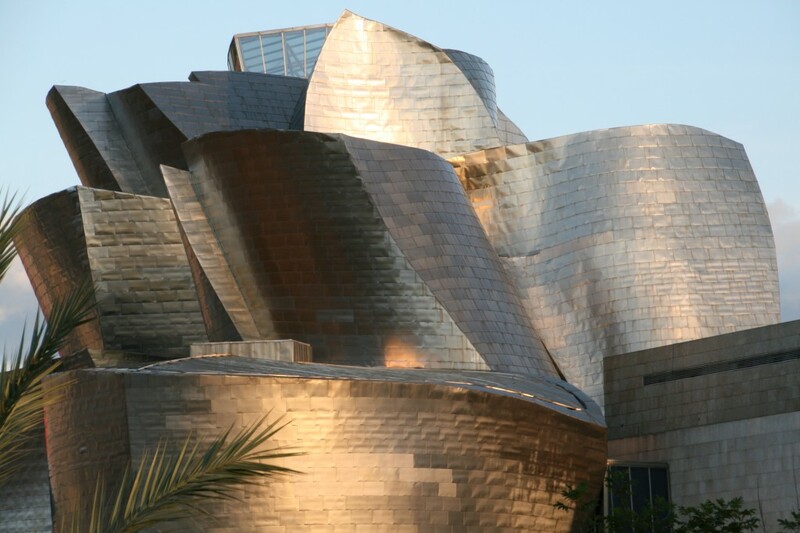 The exterior is covered in titanium tiles. Each one was hand made. I don’t think there was a straight exterior wall. Unfortunately the collection was not nearly as exciting as the building. 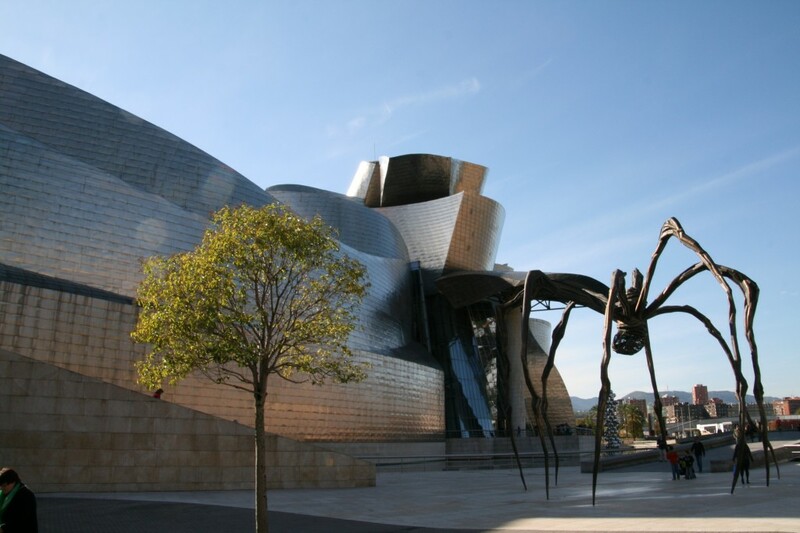 Many of the exhibits are moved between the various Guggenheim Museums throughout the world. We did find a few artists that we liked though clearly the building was the highlight of the day. A close second was our lunch in the museum’s restaurant. 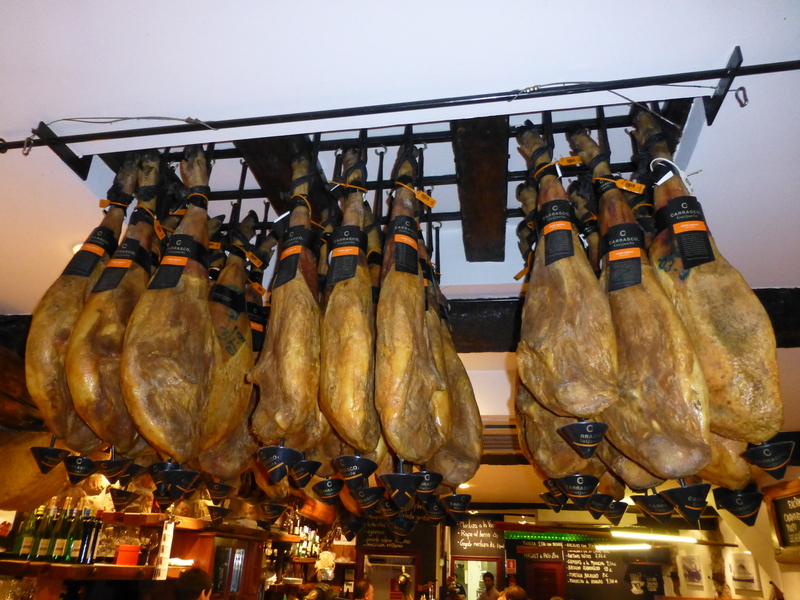 It was one of the better meals we had in Spain, and that’s not to say we didn’t enjoy the food in Spain. That night we drove back to San Sebastian and decided to go Tapas Bar hopping, but with a twist. Rather than just taking the taps off the counter we ordered from the menu. We both agreed that the food was much better and certainly much fresher.